While states like Alabama and Arizona are fighting tooth and nail to keep immigrants out, Mayors Rahm Emanuel of Chicago and Baltimore’s Stephanie Rawlings-Blake are welcoming more immigrants into their cities. Both considered progressive and liberal mayors, they hope to boost their city’s economy by creating immigrant-friendly cities. Mayor Rahm Emanuel, or more famously known for being the former Chief of Staff to President Obama, recently passed a “Welcome City Ordinance” that protects law-abiding immigrants from being questioned about their immigration status by police and City services. He aims to protect “those who play by the rules” and “prevent law-abiding Chicagoans from being unfairly detained and deported”. The ordinance is quite the opposite to Arizona’s Immigration Law that allows police to detain anyone suspected of being in the US illegally, and requires everyone to have registration documents on them at all times. Chicago has historically been considered a safe-haven for undocumented immigrants around the country. Emanuel hopes the ordinance will solve the city’s crime problem because more witnesses to crime will not be afraid to speak up. The passage of the ordinance came after much criticism of Emanuel for not doing enough for immigration reform while working in the Obama administration, and after a report by the Chicago Sun Times that said Latinos are under-represented in Emanuel’s cabinet. While Emanuel may have been pressured by immigrant rights group in his city to reform immigration policies, Rawlings-Blake believes it was crucial to open the city doors to immigrants because of population decline. The city of Baltimore’s population was at its highest in 1950 at 950,000 residents. Since then, the population has declined to a staggering 650,000 now according to this Washington Post report.Rawlings-Blake hopes to mimic Philadelphia’s immigrant-friendly measure that helped increase the population for the first time in 60 years. She has pushed for an end of police-questioning of law-abiding immigrants, and has expanded social services to cover more immigrants. Baltimore badly needs to jump-start job creation in order to reverse years of economic decline. Rawlings-Blake believes immigrants will have strong role to play in improving the city’s future. Regardless of what the motivation may have been for both Mayors, the outcome is the same: there’s hope in the midst of this ugly debate on immigration. More importantly, the President may soon have proof that immigrants really can be one of the pillars in economic growth, and not its downfall. 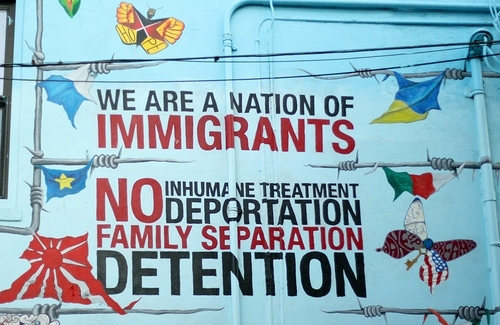 ← Relief From Deportation–Is It Enough? not actually much more well-appreciated than you may be right now. of various angles. Its like men and women are not involved except it’s something to do with Lady gaga! Good response in return of this issue with firm arguments and explaining everything regarding that. The case is under review by the Riverside County District Attorney’s office. not appear within the court for just about any reason. it took me just like a minute to successfully load still , facebook does work completely . Anyways, I want to thank you very much for placing fantastic post. Get listed within our ranked affiliate directory extremely. is 600 mg three times a day. with my latest website and I would like to find something more risk-free. STI CC 1, Calling Card 0Caveat #6: Call surcharge. prepaid phone cards provide solutions to the 5 cents per minute, and your landline phone, both domestic and international with one. put that over another glass that has a lit candle in it. Exercise is a very important tool in the fight against extra weight. ” but, by Day 16, the once-focused brain might be tired and frustrated, emitting squeaky little cries of “Whhy bother. if you are not understanding somehing entirely, however this article gives fastidious understanding even. Chicago mayors welcome, and encourage immigrants into their city | Immigration Talk <Liked it! Hi there colleagues, its great paragraph about educationand entirely defined, keep it up all the time. further up the slop of the roof, as the rainwater generally tends to run downwards before leaking into a property. recycling and disposal of a range of waste materials. needs? I wouldn’t mind creating a post or elaborating on many of the subjects you write concerning here. Teneis maas enlaces como este een este post ? So nice to discover somebody with unique thoughts on this subject matter. else may just I am getting that kind of information written in such an ideal method? in the early hours in the dawn, as i like to find out more and more. The first thing you should do before downloading mp3 songs is to check the caliber of your mp3 song data. cost high value music, that too at quite affordable rates. You can be fortunate if your songs are heard favourably and people are captivated by your wonderful rendition. To gett this to work, use the following steps as a guide:.